Manchester United goalkeeper David de Gea is being tipped to become a top transfer target for Real Madrid again now that Zinedine Zidane has returned as manager. The Spain international has been linked with Los Blancos on numerous occasions in his career, and came close to a move back in 2015 before it fell through late on, as reported at the time by BBC Sport. United will surely have thought this whole saga was over with Madrid signing Thibaut Courtois from Chelsea last summer, but journalist and broadcaster Adrian Durham has made an intriguing claim about the transfer potentially coming up again. It remains to be seen how likely this really is due to the presence of a quality ‘keeper like Courtois at the Bernabeu, but talkSPORT’s Durham believes Zidane doesn’t rate the Belgian shot-stopper. “My understanding is that Thibaut Courtois wasn’t a deal that Zidane was keen on,” Durham told the radio station, as reported by the Daily Express. David de Gea to Real Madrid transfer talk to resurface again? 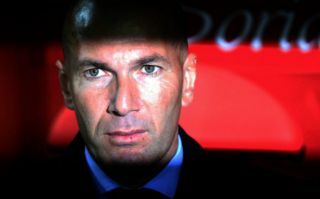 “Maybe it was even part of the reason that Zidane decided not to carry on. This could be very worrying news indeed for Man Utd, especially as De Gea’s current contract is due to expire at the end of next season and there doesn’t seem to have been much progress made over an extension.